Here is bingo in a nutshell. A caller randomly draws some numbers one by one and the players mark off those numbers on their cards. The first player to mark off the required numbers to win a prize is declared the winner. Never played bingo before? Well, you have reached the right place because our website is all about bingo. This article is written for those who are about to play bingo for the first time. 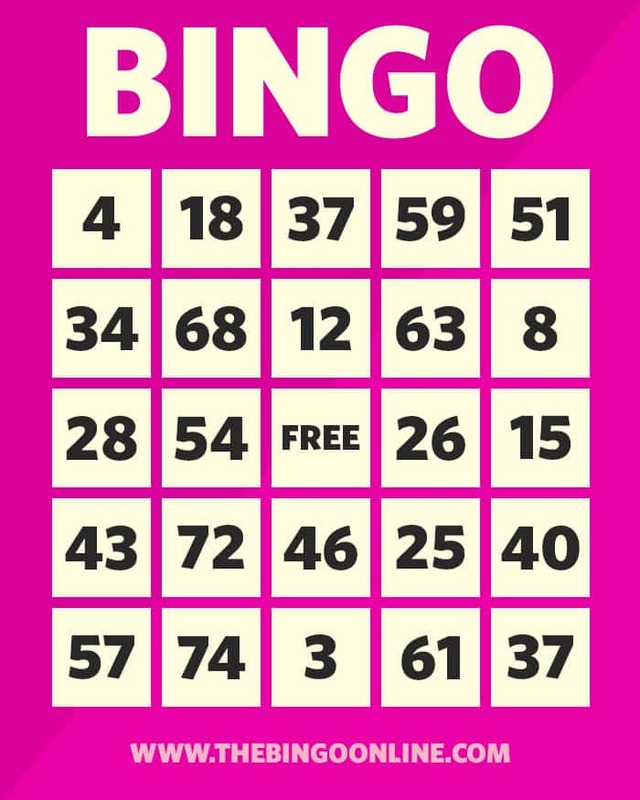 Whether you decide to play bingo at your local bingo hall or online, you will find plenty of useful information here to get started. Bingo is an excellent game of chance that is played with numbers randomly drawn by a caller. As each number is called, players check their cards to see if it contains the number that’s just been called. If it appears on their cards, they mark it off. The first player to mark off the required numbers to a win a prize is declared the winner. Let’s learn how to play bingo online and in real bingo halls. Playing online bingo is simple as most of the things happen automatically. You just buy cards for a game. The rest is done automatically. To play bingo online, you need the following things. Online bingo games are played inside bingo rooms. These rooms are also known as chat rooms because while inside such a room; you can interact with fellow players through chatting. Each game is presided over by a chat host whose job is to keep you entertained and informed as a game is played. Since most of the things happen automatically in online bingo, chat hosts usually keep players engaged using chat games. Chat games not only entertain but also offer cool prizes. Once you log into a bingo room, you can purchase cards or tickets for the next game. After each game, there is a break of about five minutes during which new players can buy cards for the next game. You can also buy cards or tickets for a game well in advance. When you pre-buy cards for a game and are not present in the room when the game is played, your cards are automatically validated, and if you win, the prize money is credited to your account. When a game begins, a software randomly picks up numbers one by one. If a number also appears on your cards or tickets, it is marked off automatically. The game ends when a winner is declared. Usually, the first player to complete the required pattern is declared the winner in a game. Upon winning, the prize money is automatically credited to the winning player’s account, and the next game begins. To withdraw winnings, a player needs to raise a withdrawal request, and once it is approved, the winnings are released to their bank account, or they receive it through their preferred banking method. Follow these tips to make the best of every bingo session. Ensure that you use an updated computer or mobile device to have a smooth bingo experience. Playing bingo in real, brick and mortar bingo halls is very entertaining. Here is how you can go about it. Here are the things you need to play bingo in a real bingo hall. Unlike online bingo, a game of traditional bingo is presided over by a caller instead of a chat host. A caller’s job is to call out numbers and validate winning tickets. He or she announces the prize or prizes before a game begins, and usually says “Eyes down” to indicate the game is about to start. As the game begins, the caller starts to call numbers randomly picked by an automatic random number generator. Sometimes the numbers are drawn from a bag in the form of chips, and sometimes balls are selected from a mechanical draw machine. It is standard practice by callers to combine a number with an interesting nickname such as “Two and three, twenty-three” for 23, “Two and eight, in a state” for 28, etc. As the numbers are called, players keep marking off matching numbers on their cards or tickets. 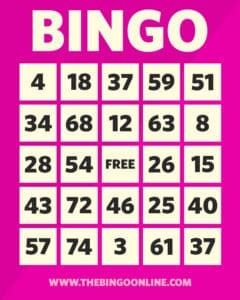 The first player to score the required numbers to win a prize usually shouts “Bingo”, “Yes” or any decent term they please to get the caller’s attention. A staff member then comes and checks the claim by validating the card or ticket and the numbers marked on it. Real bingo halls are usually jam-packed with players. All the bells and whistles often make it hard to keep up with other players and collect your winnings. Here are some tips to help you play bingo effectively in a real bingo hall. There are many bingo variations available around the globe, but basically, only four types of bingo games are popular. This is an old timer. People from all walks of life love to play 90 ball bingo. Also known as UK Bingo, it is played with tickets that contain 27 spaces arranged in 9 columns by 3 rows. Each row contains five different numbers. The first column contains numbers from 1 to 9 or 10; the second column contains numbers from 10 or 11 to 20, the third column contains numbers from 20 or 21 to 30 and so on. 75 Ball Bingo variation is also known as US Bingo. It is played on bingo cards containing 25 squares arranged in 5 rows and 5 columns. The centre square is usually marked “free” or “free space”. Each column is labelled from left to right as “B”, “I”, “N”, “G” and “O”. The first column contains numbers from 1 to 15, the second column contains numbers from 16 to 30, the third column contains numbers from 31 to 45 and so on. Players usually win by completely covering numbers in a line which can be horizontal, vertical or diagonal. Special bingo patterns that range from simple to complex are also played, and they carry attractive prizes. Coverall, for example, is such a pattern where a player is required to cover all the numbers on his or her card. This bingo game is a hybrid of 75 ball bingo and 90 ball bingo. Some people found 90 balls more than a lot, and some found 75 balls not enough. Therefore, the 80 ball bingo was developed. This game is played with cards that contain 16 squares arranged in a 4 x 4 matrix. Each square contains a random number between 1 and 80. A player is awarded the prize when he or she completes a line which can be horizontal, vertical or diagonal or completes all four corners or wholly covers all numbers on the card. Special patterns are also played. This is a quick game of bingo. It is played on a 3 x 3 bingo card that contains 9 random numbers between 1 and 30. The first player to cover all the numbers is declared the winner. Since this game ends pretty quickly as compared to other bingo games, it is also known as Speed Bingo. Bingo is a lively game of chance that provides entertainment along with remarkable prizes. It is played around the world in bingo halls and on the Internet. People play bingo not just because it is easy to play and it carries decent rewards but also because it is a great pastime. If you are going to play bingo for the first time, do it today. Just join any of the bingo sites are featured here and find out why bingo is so popular. Thanks for reading. Good luck!